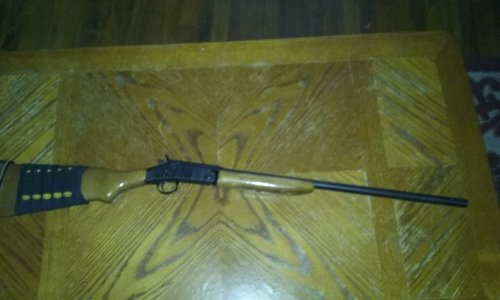 Since my old New England .20 gauge shotgun is a single, I figured it ought to carry extra rounds. So, I bought this Allen 5-round buttstock shell holder. I like it, it’s holding the shells good.